Creative Castings are proud to be New Zealand’s foremost manufacturer of garden statues. 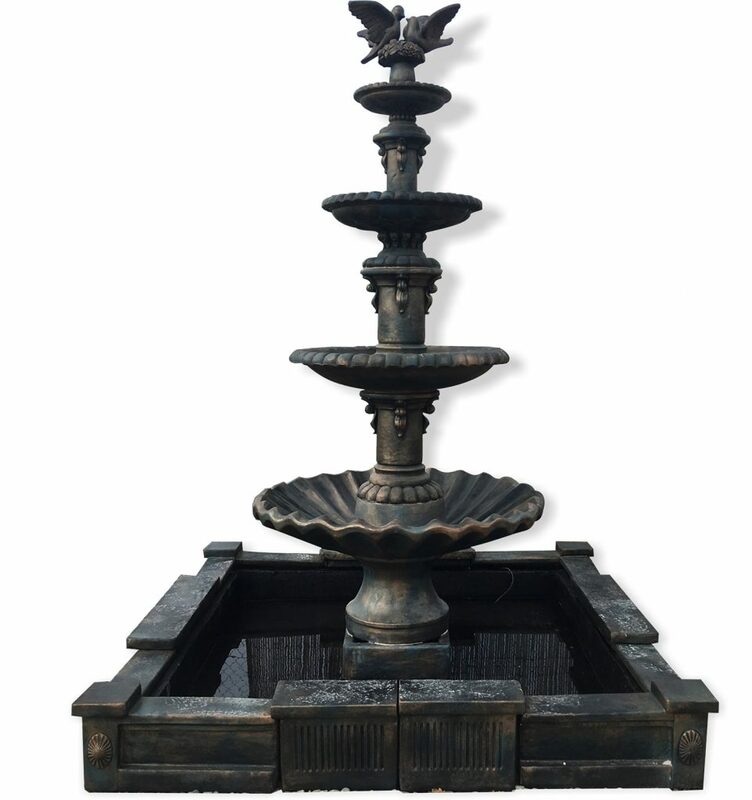 We offer a diverse range of statuary, water features, birdbaths, pots, planters, ponds, pedestals, sundials, urns, fountains, cats, dogs and animals, angels and fairies, historical and classical , modern and contemporary designs to suit every environment. Browse our catalogue to find the perfect gift for any special occasion within our vast range. Also keep an eye on our new releases page and stay up to date with the latest design innovations and current trends from Creative Castings. If you like to keep up-to-date be sure to check in regularly within our catalogue on our news page for monthly promotions, newsletters and media releases. Now also available in a fresh new colour range – enquire now for details! 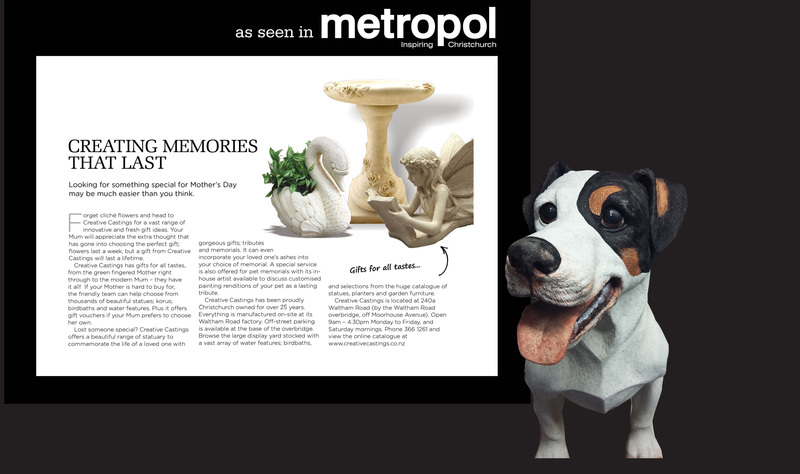 Founded in 1991, Creative Castings is the largest NZ based manufacturer of concrete statuary and water features in New Zealand. One of our strengths has been to learn to diversify to suit New Zealand demand, and our product lines cover the gardening, landscaping, furniture and building industries. All our products are made in Christchurch with a special mix of natural raw materials blended into a cement base. The designs are cast in the highest quality mould to maintain 100% of the original details. Although our factory is based in Christchurch, we freight nationwide, so remember to check for a stockist in your region. Check our on-line catalogue regularly for product updates and feel free to contact us with any queries.